As many as five political workers have been arrested during a raid by the personnel of paramilitary force in Karachi area of Liaquatabad in Friday’s wee hours. 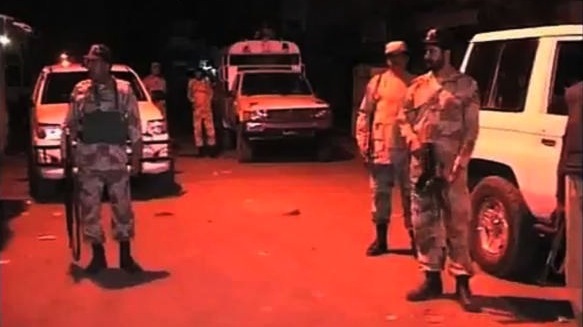 The rangers continued their targeted operation in different parts of the metropolis and arrested overnight five people hailing from a political party near Sindhi Hotel’s Arshi Chowk area of Liaquatabad. All five political activists have been shifted to undisclosed location for interrogation. Meantime, a gang-war operative was arrested after an alleged police encounter in Kharadar and recovered firearms from him. According to police, the gangster was wanted by police for involvement in different criminal activities.